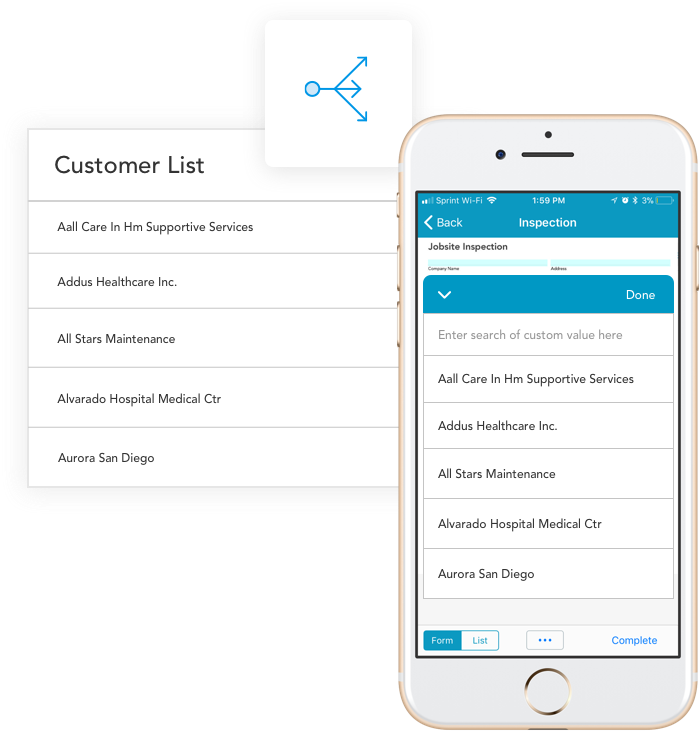 Easily collect field service data from your mobile device. 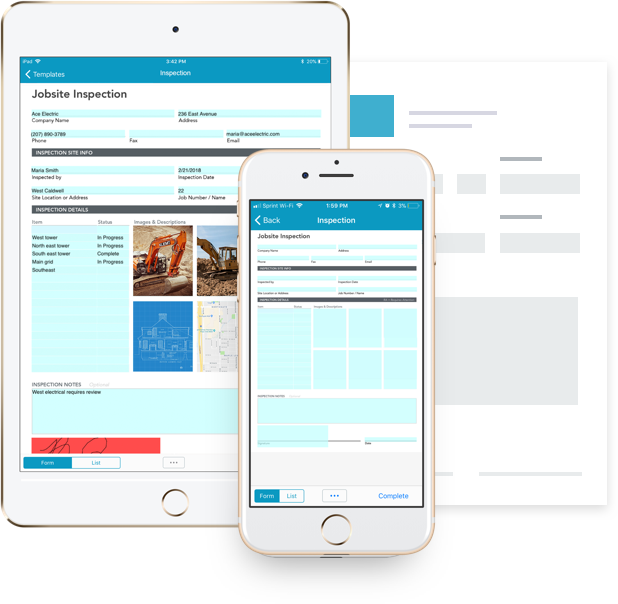 GoFormz makes it easy to capture inspection data using mobile inspection forms — resulting in faster processing and improved data accuracy. Add visual context to your data. 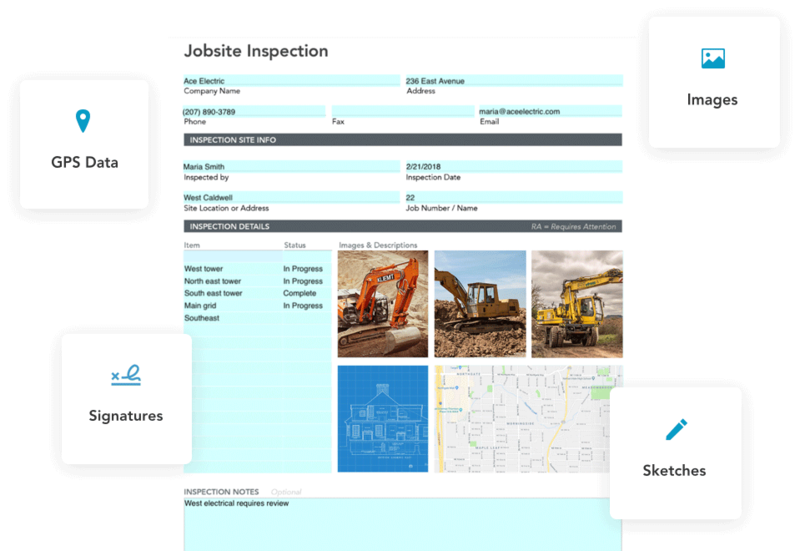 Mobile inspection forms make it easy to add inspection images, sketches, GPS data, and more. 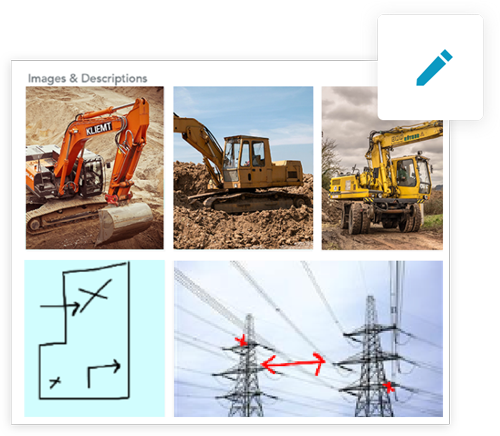 Capture inspection images, and annotate them with sketches, straight from your device. 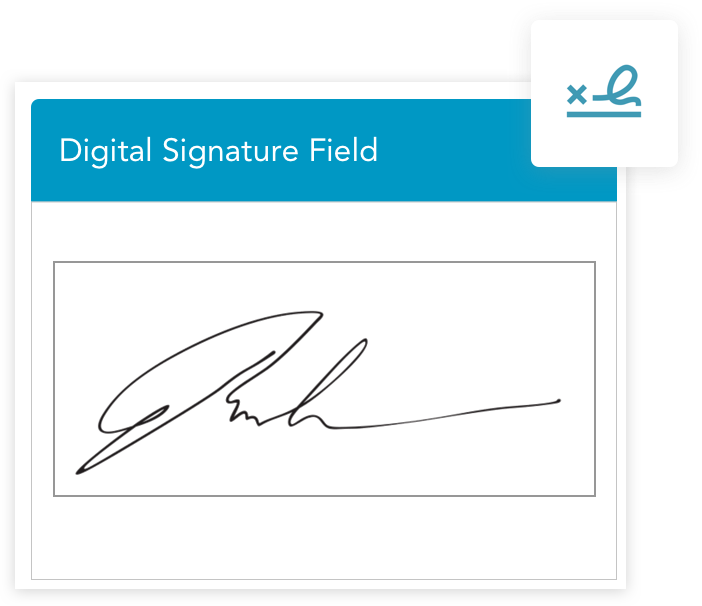 Ensure the collection of crucial signatures and approvals with Digital Signature boxes and Required fields. Easily track project progress. 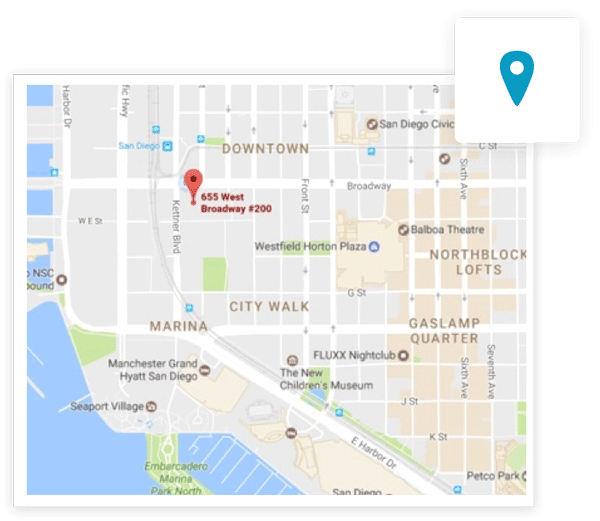 Leverage your device’s native GPS capture within your mobile inspection forms. 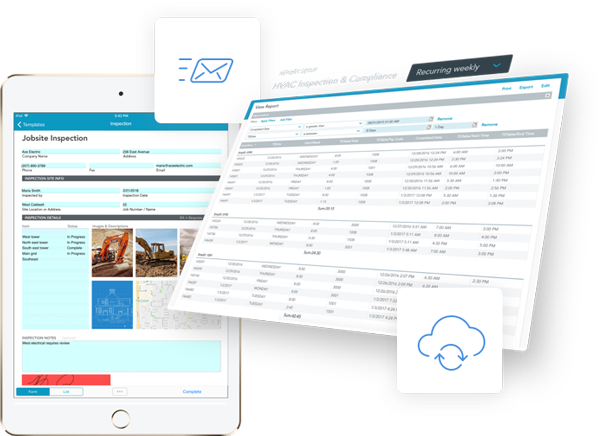 Whether dispatching inspection forms with pre-filled data or enhancing fields with drop-down lists of values, complete forms faster and more accurately. Try our mobile inspection form template, or upload your own! Once captured, inspection data is instantly available for review. Send copies of forms to clients and teammates. The office can also easily generate reports in real-time to make agile business decisions.